Le Petit Bois marsh is wet lowland where groundwater and rainwater collect. It is a large flat area marked by a field of cattails. It has been said that a cattail looks very much like a ‘hot dog on a stick’. 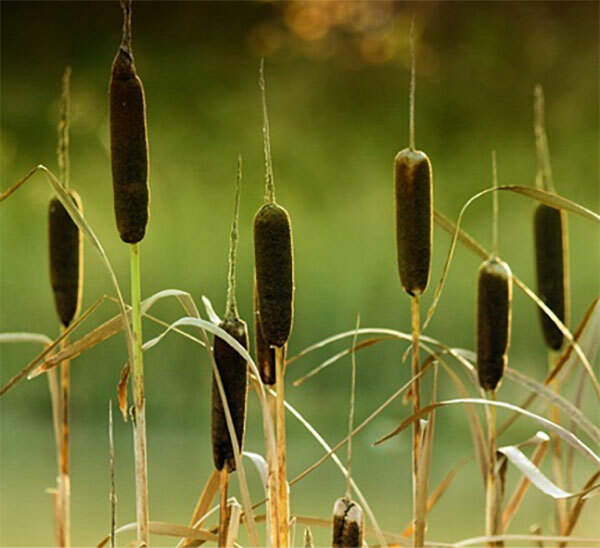 The hot dog part of the cattail is made of densely packed female flowers and a pointed yellow spike above it that is the male part. 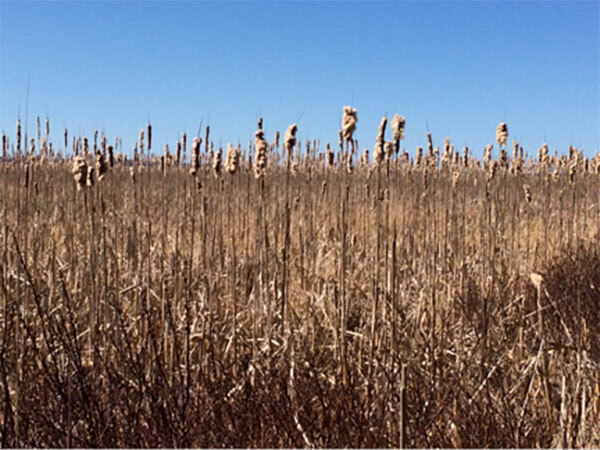 Cattails routinely grow to 160 cm (6 feet) tall and can grow to nearly 275 cm (9 feet). Just like some of the bulbs in a perennial garden, the cattails can spread by multiplying at the root, and the cattails keep enlarging their area as long as there is standing water available. Although it looks like a quiet place, the marsh is actually bustling with life. 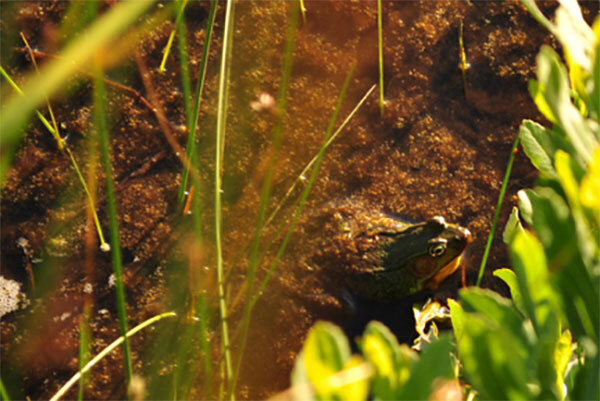 It is a perfect environment for insects like deerflies, horseflies and mosquitoes, and is also the breeding ground for insect-eaters such as frogs, salamanders and other amphibians. Ducks nest and raise their young among its grasses. 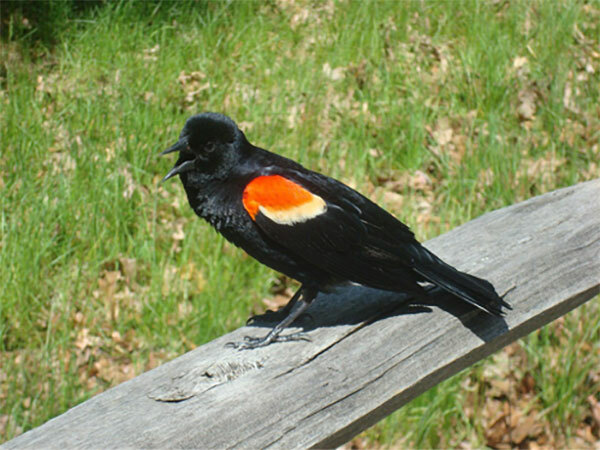 It is also home to tree swallows and the beautiful and very vocal red-winged blackbirds. You will see small wooden boxes in and around the marsh. The faculty and students of the biology department maintain these 6 nesting boxes for the tree swallows. These are beautifully coloured birds with dark blue iridescent backs and white fronts. 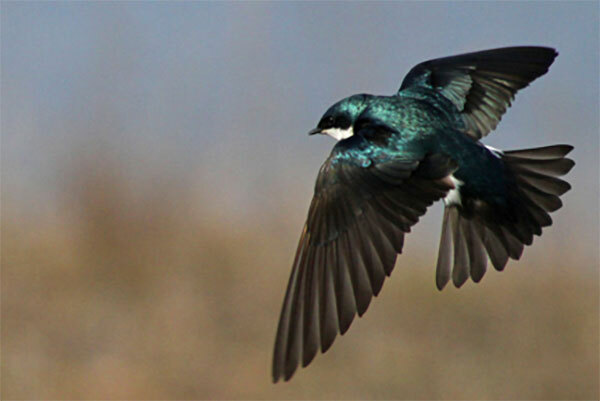 They chase after flying insects over the marsh, performing acrobatic twists and turns in the air. Marshes provide a valuable service for us. They help maintain the health of the environment. Each marsh breaks down wastes and removes contaminants from the groundwater. 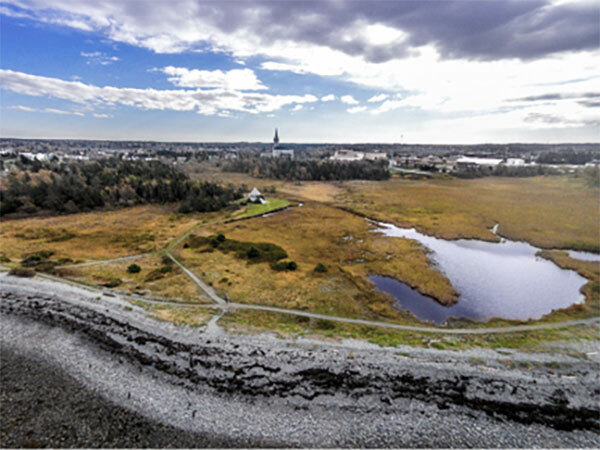 Years ago, people thought it was a good idea to fill in marshes so that the land could be used for other purposes. Now we understand that marshes are an important part of the ecosystem and that they perform a valuable service for us. The Visitor Information Centre in the Rendez-vous de la Baie on campus can lend you some binoculars, if you’d like to spend some time bird watching.